Lenders can’t comply with the Servicemembers Civil Relief Act if they aren’t well-versed in all of its many sections. Lenders who don’t retain legal advice to help them meet the many and varied requirements would do well to appoint a staff member or a team to make sure their institution is up to speed. The SCRA requires lenders to adhere the rules of the act, or risk lawsuits filed by the Department of Justice, the Consumer Finance Protection Bureau, state agencies and even private citizens, all of which can result in bad publicity, fines and more. 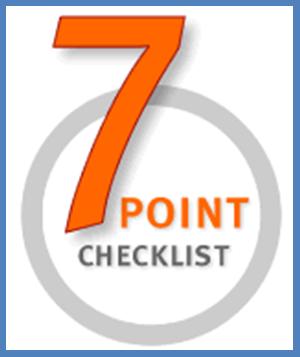 To better understand the rules, we offer our 7 point SCRA checklist for lenders. Lenders must forgive, not defer, the difference in the 6 percent and the previous agreed-upon rate. For the purposed of the SCRA, interest includes service charges, renewal charges, fees and any other charges except insurance. To get the 6 percent rate, however, the servicemember must request protection and send in a copy of their orders. This is not the case with most protections, so don’t make the mistake of thinking the onus is always on the servicemember. Further, there has been a groundswell of opinion that the lender must take the initiative to see if a person is eligible for SCRA reductions. Recent settlement agreements between the government and some lenders has resulted in the lenders affirmatively reviewing their borrower roster, determining if any of the borrowers are SCRA-eligible, and then contacting those borrowers. Lenders cannot repossess vehicles due to nonpayment of installments when a servicemember can’t pay due to their active-duty status. However, for servicemembers to receive this protection, they must have made at least one payment before going on active duty. Servicemembers do not have to request this protection — it is automatic. So it’s crucial that lenders check a borrower’s active-duty status before beginning any repossession actions. Moreover, reservists are entitled to this protection when they receive call-up orders, not when they begin active duty. Servicemembers have protection against foreclosure proceedings during the time of their active duty and a year after it ends. (The one-year period may change — see above.) This counts not only for mortgages, but for any obligation in which they use property as collateral. However, this coverage only applies if the servicemembers enter into the obligation before they report for active duty. Servicemembers do not have to request this protection, so again, lenders must check active-duty status before beginning foreclosures to avoid violating the SCRA. Lenders should not attempt to get default judgments against borrowers without a military status affidavit proving that the borrower is not on active duty. Due to recent banking scandals, courts now look closely at such cases, so it’s critical to do due diligence. In order for a default judgment to move forward against servicemembers on active duty, the court must appoint an attorney on their behalf. Attorneys may not enter into any agreements on behalf of servicemembers who cannot be reached. An interesting twist is, although the court may appoint an attorney, the SCRA has no funding for this. If the state law does not provide for payment, and there is no pro-bono attorney available, it may be in the lender’s best interests to agree to pay for the attorney to move the case forward. Servicemembers are not automatically protected from judgments and garnishments; they must show that their service materially affects their ability to pay. If servicemembers can show this, which is not usually a high bar, courts may stay or vacate judgments against them. Servicemembers and their dependents cannot be evicted while the servicemembers are on active duty, but they would have to go to court to ask for those protections. Some high-rent properties are excluded; in these cases, courts may lower the rent obligation during the period of active duty. Lenders cannot retaliate against borrowers who inform them of their right to SCRA protections. Lenders also cannot refuse to extend credit, sell insurance, change the terms of the credit agreement or unfairly mar servicemembers’ credit reports. Credit reports are a somewhat gray area. Some courts allow some accurate reporting, but if there is a discrepancy about what is accurate and the courts rule against the lender, the courts may impose fines and restitution. The safest course of action for lenders is to not report at all on servicemembers on active duty. In fact, lenders cannot even report that a borrower has SCRA protections. Lenders should also note that when they determine the statute of limitations on certain actions, they should extend the period by the time that the servicemember is on active duty. In order to defer payments to lenders, servicemembers must apply for this deferral while they are on active duty or within 180 days after they come off of active duty, and they must show that their service materially affected their ability to pay. These rules apply to leases, foreclosures and repossessions. Lenders dealing with borrowers in default need a quick, reliable method of determining the borrowers’ active-duty status. The best, easiest way to do this is to use the Servicemembers Civil Relief Act Centralized Verification Service. We can provide you with the documentation you need within 24 hours, and we offer special rates for batch processing. Get all the answers you need, overnight.